Two people are in a critical condition after being exposed to an “unknown substance”. Wiltshire Police were called on Sunday afternoon to help a man and a woman in Salisbury who were subsequently taken to the city’s district hospital. A number of locations in the city centre have been cordoned off and the A&E department at the hospital was closed on Monday morning. Public Health England (PHE) said there was no “wider risk”. A major incident has been declared at Salisbury District Hospital but neither police or the hospital have commented further. 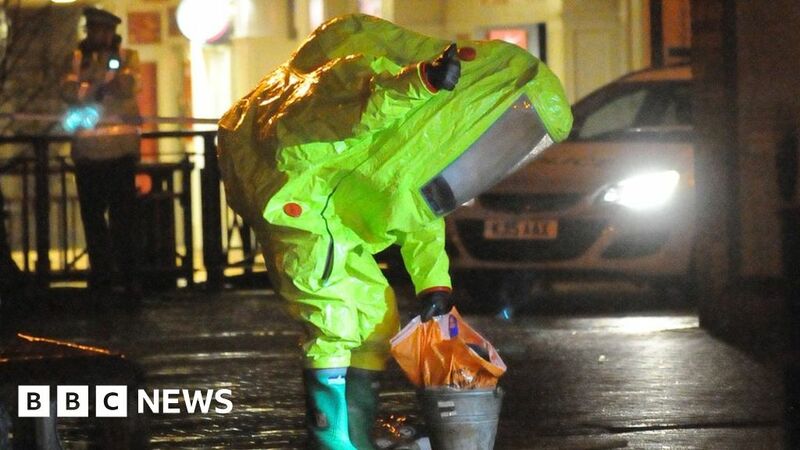 A spokesman said: “PHE understands that those exposed to the substances have been decontaminated, as is standard practice in situations like this. Dorset and Wiltshire Fire Service was called to the hospital’s A&E department on Monday to help with the decontamination. Routine appointments are going ahead as scheduled unless patients had been contacted directly and staff have been told to come in as normal, the PHE spokesman added. Are you in the area? Have you been affected by the incident? If it is safe to do so, you can share your experience by emailing haveyoursay@bbc.co.uk.